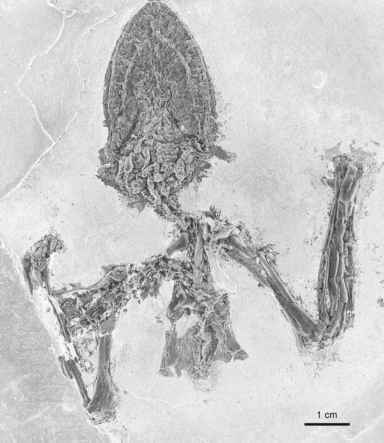 In this chapter some of the major sites which yielded Paleogene fossil birds are briefly introduced to avoid redundancies in the taxonomic sections. Dyke et al. (2007, p. 341) stated that "aquatic environments of preservation dominate the early Paleogene avian fossil record, because these were the habitats in which more modern birds lived at the time of the transition." Actually, however, the majority of Paleocene fossil birds are from terrestrial deposits, and a predominance of fossil lagerstatten of aquatic origin can only be recognized for the early and middle Eocene record of the Northern Hemisphere. Large areas of this part of the globe were covered with paratropical rainforests in the early Paleogene, which offered unfavorable conditions for the preservation of animal carcasses on land. The predominance of fossil birds in early/middle Eocene sediments of aquatic origin thus clearly reflects a preservational bias.